The largest living organism on earth is probably NOT what you thought. I was surprised to learn that the Aspen tree forms large groups of genetically indentical trees (or stems) which all share the same underground root system and are all formed from the same original plant. 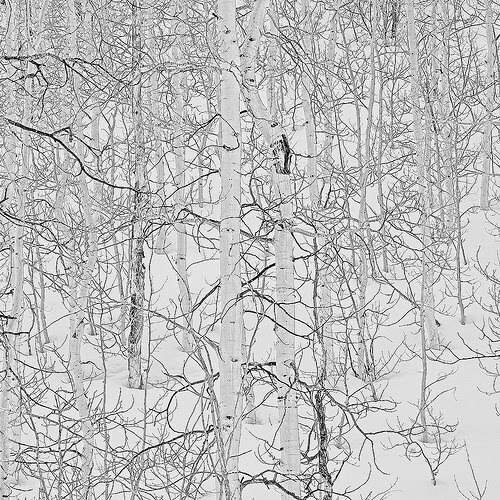 The largest known fully-connected Aspen is a grove in Utah. 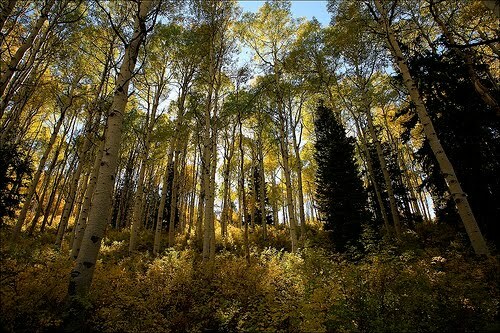 Nicknamed Pando, some scientists describe it as the largest organism in the world. Conclusion: Pando weighs more than me. This entry was posted in Uncategorized on February 5, 2010 by fatchicksings.